Hi! On this page you can find useful materials for Great Wall cars: PDF owners manuals, repairs manuals, EWD. Brand Great Wall became the first Chinese brand to actively promote their cars to the world market. Starting with the production license of Japanese pickups, Great Wall was soon able to offer customers a wide range of current models. History of Great Wall brand began in 1976 with the advent of in the city of Baoding small private enterprise for the production of trucks. Who managed to preserve the independence of the state company is developing dynamically and in 2012 entered the top ten of China's largest automakers, confidently holding the first place in the country in terms of volume sold SUVs. The company was founded in 1976 in the city of Baoding, Hebei Province, a hundred and fifty kilometers from Beijing. In 1991, production started commercial vehicle. In 1996, the company brought to market one of the first passenger car, which later received the fame and outside of China - pickup Deer. The prototype of this car has become a model of Toyota Hilux 1989 model year. In 1997, the first cars delivered for export. In 2001, a separate company for the production of engines was open to their cars. In 2003, Great Wall Motor has become the first in the history of private Chinese automakers public company by offering shares on the Hong Kong Stock Exchange. For the first time the company's products came to Europe in 2006, when Italy started selling pickups Wingle and Hover SUVs. In our time, Great Wall SUVs delivers to 60 countries. Among them are Russia, Belarus and Ukraine. 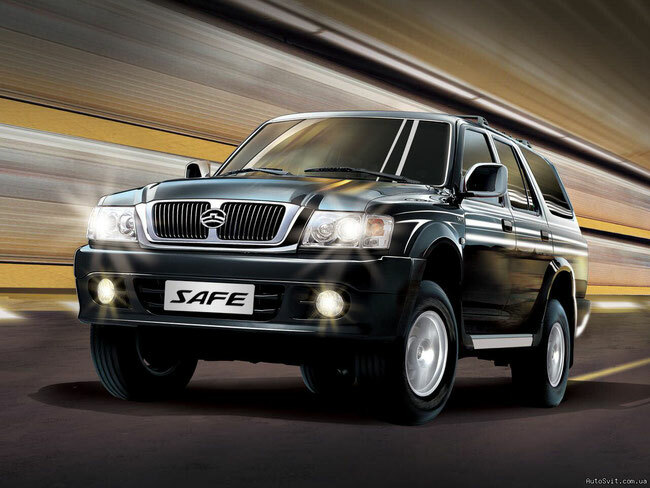 In 2009, the Guangzhou Motor Show the company introduced a number of new models, including the modern monocab Voleex C10 and a series of modified cars the old series. In 2010, the Great Wall announced the establishment of its own R & D center and the signing of contracts with a number of leading manufacturers of spare parts, such as TRW, Delphi and Bosch for the purpose of licensing and production of a number of components for automobiles in China. In 2011, in the north of China in Tianjin, opened the largest plant at the moment Great Wall Motors and was first shown the new model Hover car - H6. Tianjin plant is able to produce up to 1 million vehicles and vehicle sets to be sent abroad per year. In 2012, it started production of off-road vehicles in Bulgaria, Litex Motors Company. At the Beijing Auto Show the company has demonstrated a number of new products, for example, a subcompact crossover Hover M4 prototype hybrid car Hover E. The Great Wall plans to manufacture its own engines and transmissions, including stepless variator and a six-speed manual transmission. The company is actively working on creating mass car with hybrid drive. The prototype of this model was shown at the 2012 Beijing Auto Show. The model, called Hover E, equipped with a power unit of the gasoline engine and the electric motor power of 180 kW, able to develop torque 610 Newton-meters. Recharge the battery of the power plant will not only while driving but also in the parking lot, solar powered. In 2012, the factory team on the Great Wall Hover cars achieved high results at the Dakar Rally. Rally-Raid, held on the territory of the three countries, ended in Peru's capital city Lima. For 15 days, participants completed the 14 stages, breaking the nearly 9000 kilometers. Two Great Wall Hover car took part in the competition in the SUV group. Pilots Great Wall Carlos Souza and Zhou Yong had to fight for a place in the table with the best athletes in the world. Of the 161 crew launched from the finish reached only 78. For the first time in the history of Dakar Chinese SUV showed the result, hit the top ten on the basis of race. The prototype of this pickup model Toyota Hilux was the 1989 model year. The engine, which Great Wall pickup trucks equipped with so far, is also produced by Toyota license. This altered under the 92-th gasoline motor 2Y volume of 2.2 liters, which is at the end of the eighties put on Camry. The basic model is equipped with rear-wheel drive, front-wheel drive type of part-time option is purchased. 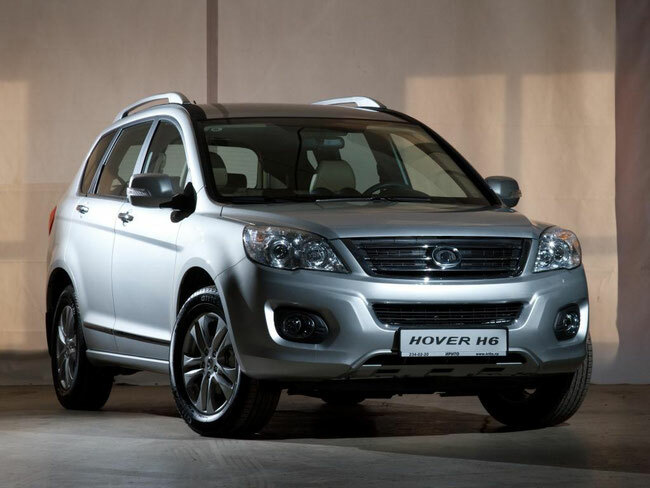 In the SUV Great Wall Hover H series Russians, mostly identified brand. It's no secret that the Hover quite successful copy of the Japanese frame SUV Isuzu Axiom, laid off in 2004. Great Wall Hover, despite the appearance of a city car, has a complete set needed to overcome off-road attributes: base frame, plug the front axle, a lower gear and locking center differential.